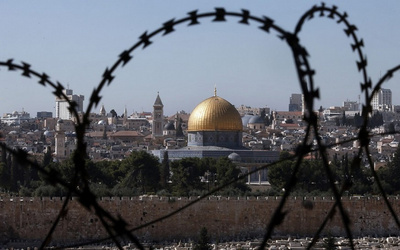 Any hope for peace in the Palestine-Israel Conflict? In the eyes of most people, the murder ended all hope for the Israeli-Palestinian peace process through the Oslo Accords and altered the course of history. I have been quite skeptical on the prospect of a lasting peace to the Palestinian-Israeli conflict since at least 1977 when the Likud Party of Menachem Begin came to power. For peace to really work, it requires justice, something that has never been in the DNA of the Zionist founders and leaders of Israel. They saw Palestine as a colonial enterprise, which was to dispossess and rob the indigenous population, one way or another. Negotiations were only ploys to justify illegal annexation and used to hoodwink the world community, and nothing else. The more I read about Zionism the more I felt hopeless realizing that the right-wing Likudniks would never go back to the pre-1967 border and would do everything possible to hold onto the Occupied Territories, the so-called Judea and Samaria. Without those occupied territories, the dream of an Eretz Israel is incomplete. The toxic influence of Ze'ev Jabotinsky (1880-1940) – the iconoclastic founder of Revisionist Zionism - loomed very high on the Likud Party. And yet, in my heart I hoped for a miracle of sort that the bad Zionists would evolve into real human beings feeling the pain and suffering of the dispossessed Palestinians and would compromise so that the holy land can be shared by all its peoples amicably. Prime Minister Rabin presented himself as a person who seemed serious about a two-nation solution to the decades-old problem. But when he was assassinated on November 4, 1995, all such daydreams of mine faded away. I believed that the rightwing Likud politician Benjamin Netanyahu was not just a direct beneficiary of that assassination but that he had triggered the very event by creating an environment of hatred and animosity in which Rabin had to die for Bibi to shine in Israeli apartheid politics. Recently, in early November, 20 years to the day after the assassination of Israeli prime minister Yitzhak Rabin by a right-wing religious extremist, Amos Gitai’s mesmerizing and disturbing new film “Rabin, the Last Day” premiered in Tel Aviv’s symphony hall — about 200 yards from the spot where Rabin was shot. According to movie reviewers, it’s no ordinary movie in the context of Israel today, not to mention the context of the Middle East and the world. It’s a mixture of drama, documentary and meticulous re-creation of Rabin’s life. Gitai is both a living legend of Israeli cinema and a highly controversial cultural figure, and with “Rabin, the Last Day” he seized the third rail of Israeli politics with both hands. He set out to prove in his brave and provocative new film, Rabin's assassination was not just the act of one fanatic Yigal Amir, an orthodox Jew. Rather, it was the culmination of a hate campaign that emanated from the rabbis and public figures of Israel's far right, esp. the likes of Netanyahu. As I have stated many times, Zionism has betrayed Judaism. It has created a breed of rabbis that are bigots and racists to the core. Without their blessings, Jewish terrorism or so-called vandalism against the unarmed Palestinians inside Israel would have been rare. Consider, for instance, the religious legitimacy for attacking Arabs given by the prominent rabbis at Od Yosef Chai to the hilltop youths. In their 2010 book, “The King’s Torah (Torat Hamelech), Part One: Laws of Life and Death between Israel and the Nations,” Rabbis Yitzhak Shapira and Yosef Elitzur declared, “The prohibition ‘Thou Shalt Not Murder’ applies only ‘to a Jew who kills a Jew’.” It is worth recalling that up until 2013, Od Yosef Chai yeshiva received government funding and support. It has also received money from American donors. This should come as no surprise. After all, the Likud Party of Bibi Netanyahu upholds Ze'ev Jabotinsky’s principles. Jabotinsky organized Irgun Zvi Leumi, a terrorist military organization, which fought against the British and the Arabs in the pre-partition days. He died in 1940, eight years before the birth of the Israeli state. His legacy, however, was carried on by Israel's Herut party, which merged with other right wing parties to form the Likud Party in 1973. It is also worth pointing out that Benzion Netanyahu, the current prime minister’s father, was Jabotinsky’s disciple and private secretary. The elder Netanyahu said as recently as 2009 that the Arabs’ existence “is one of perpetual war” and argued that Israel should beat back any hint of Palestinian nationalism with the threat of “enormous suffering.” He passed these poisonous beliefs on to his son Bibi Netanyahu, who like Jabotinsky, is a brutal, racist, territorial maximalist who allows no concession in his aspiration to guard the pariah Jewish state by crushing the Palestinians. It is not difficult to understand why the peace process has been dead since Bibi came to power again. Netanyahu is opposed to the two-nation solution of the deadlock. Remember his election promise last year? He vowed to increase construction in the Occupied East Jerusalem, and said the city would never be divided. “We will continue to build in Jerusalem, we will add thousands of housing units, and in the face of all the (international) pressure, we will persist and continue to develop our eternal capital,” he said. He also vowed in the East Jerusalem neighborhood of Har Homa (a Jewish settlement that Netanyahu helped to build during his first term as prime minister in 1997; the sprawling district now houses more than 20,000 settler residents) that Palestinian state would not be established if he was elected. Recently, Netanyahu announced that the Israelis shall "forever live by the sword” – a Biblical phrase going back to the admonition of Avner, King Saul’s general, who cried out to King David’s general Yoav "Shall the sword devour for ever?" Thus, under Bibi’s watch the illegal settlements for the Jewish settlers in the West Bank have become the norms rather than exceptions. As the apartheid Israeli state constructs new illegal colonies, it demolishes Palestinian homes forcing their eviction. Last Tuesday, for instance, the Civil Administration in the West Bank demolished 23 Palestinian homes and three outhouses in the southern Hebron hills villages of Jinba and Halawa. And surely, those crimes won’t be the last ones in the Jewish state! Last month Israeli Defense Minister Moshe Ya'alon approved the establishment of a new settlement inside a church compound in the West Bank, about which the U.S. state government was "deeply concerned". Jewish vandals, likely religious right-wing extremists, vandalized Jerusalem's Dormition Abbey. The Benedictine monastery abutting the walls of Jerusalem's Old City has been the target of repeated anti-Christian vandalism and in February 2015. The vandals wrote anti-Christian slogans on the edifice's walls and doors using red and black markers. These included: "Christians to Hell", "May his name be obliterated" (a supposed Hebrew acronym of Jesus' name in Hebrew), "Death to the heathen Christians the enemies of Israel", etc. Such hostile activities, of course, are discomforting to some highly placed friends of Israel. Even the U.S. ambassador had to confess that Israel has legal double standard in West Bank. Speaking at the Institute for National Security Studies (INSS) conference in Tel Aviv, Dan Shapiro said "Too much Israeli vigilantism in the West Bank goes on unchecked," adding that "there is a lack of thorough investigations… at times it seems Israel has two standards of adherence to rule of law in the West Bank - one for Israelis and one for Palestinians." The peace process has been deadlocked since a US peace mission collapsed in April 2014. The UN Secretary General Ban Ki-Moon has been a failure to make a difference. He rightly said Friday that he was "ashamed" at the lack of progress in the Israeli-Palestinian peace process. "I feel guilty, ashamed of the lack of progress," he told an event organized by the United Nations Association - UK in association with foreign affairs think-tank Chatham House in London. "Basically it's up to the leadership of Israel and the Palestinians to put an end to the conflict," he said. I don't see any hope of a peaceful solution as long as the dreamers of Eretz Israel continue to control the Israeli politics and have powerful international supporters. They know their strength and are willing to exploit such to extract further concessions from their backers. It was no accident that Jonathan Pollard, the American spy who leaked highly sensitive defense and national security info to Israel, had to be freed by President Obama in the days leading up to peace negotiations with Iran. He was serving a long prison term, until, of course, lately. And yet, Benjamin Netanyahu was not fully satisfied. He told the World Economic Forum in Davos that his country will need more US military aid because of the nuclear deal with Iran. Netanyahu, whose country is the sole nuclear power in the Middle East, though it has never declared it, strongly opposed the accord and labeled it a "historic mistake." Israel is currently negotiating a new 10-year military aid package with Washington that it says will need to grow beyond the $3.1 billion yearly currently provided by the United States. The figure excludes US spending on projects including Israel's Iron Dome missile defense system. Well, with the Israel-first 'Amen Corner' placed inside the Capitol Hill the pariah state does not need too much patting on the shoulders to get what it wants. And I am sure the US government will again comply with Netanyahu's request, esp. coming as it does in an election year. All the presidential candidates in the major two parties – Republican and Democratic – from Hillary Clinton to Donald Trump (let alone evangelicals and born-again Christian fundamentalist candidates) - are unabashed supporters of Israeli hegemony and Palestinian marginalization. Thus, the prospect for a real peace in Palestine seems improbable. Truly, we may never see it in our lifetime. That is a sad commentary, but a realistic one.